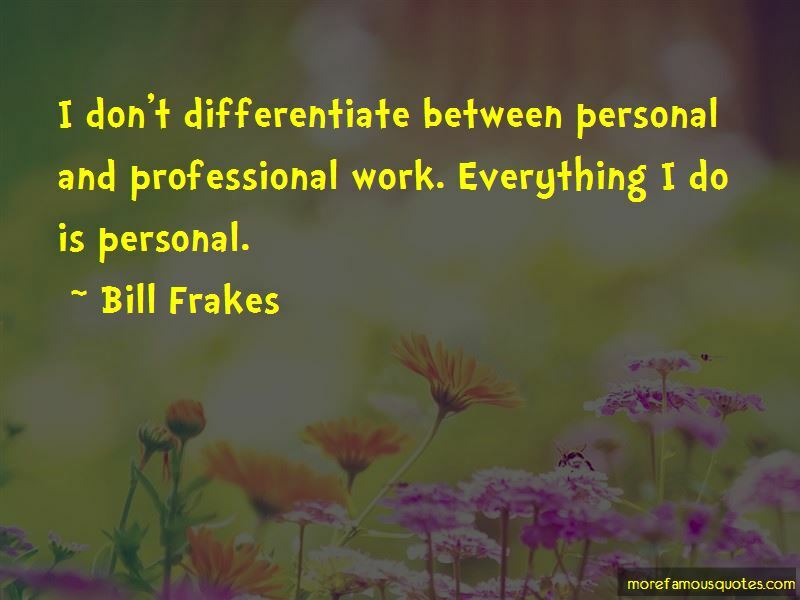 Enjoy the top 3 famous quotes, sayings and quotations by Bill Frakes. You should make photographs with your heart, mind, eye & soul. The capture device is simply there to allow you to transfer your vision to a medium that you can share with others. There is no off position on my visual switch, and I don't want one. I love, and always have, telling stories with my camera. 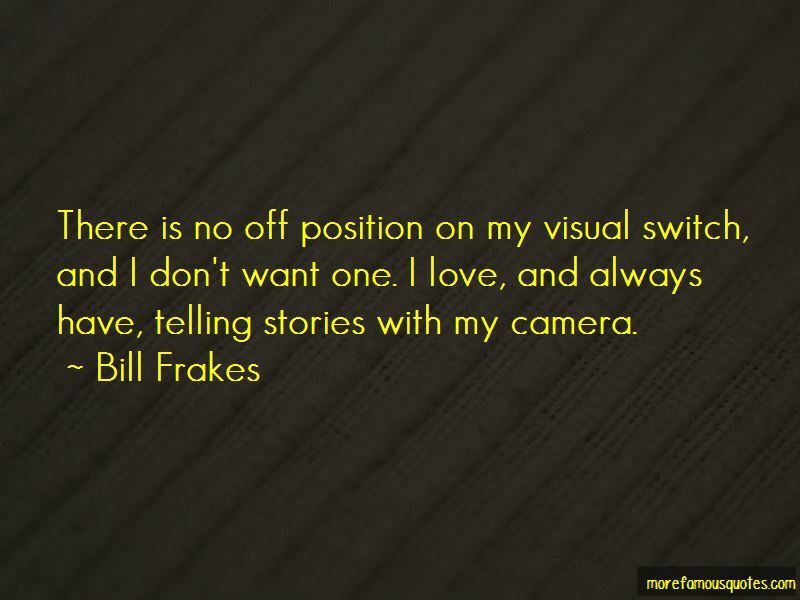 Want to see more pictures of Bill Frakes quotes? 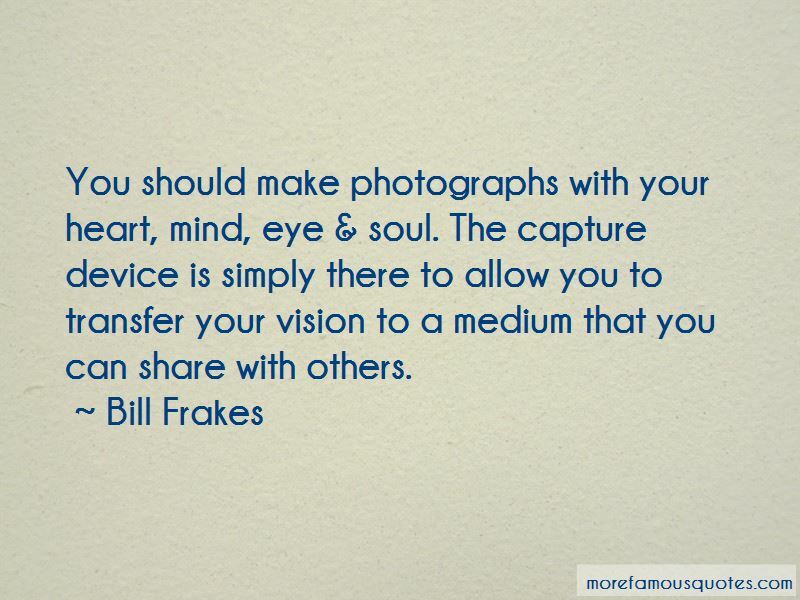 Click on image of Bill Frakes quotes to view full size.